Before the hoards of people came out to the North Shore for the winter we were scoring manini-sized swells (perfect for logging!) at the sandbar. We would post up all day and occasionally get the waves to ourselves. It was all worth the sunburn and red, swollen eyes. And we it’s always nice to bump into friends. The beach is a communal place in Hawai’i. You can go down on any given weekend with no plans, bump into friends, and end the night having an unexpected bonfire on the beach. It is such a central part of people’s lives (especially on the North Shore) whether you surf or not. The 7-mile miracle can mean so many things so many different people. A platform of professional surfing, a families picnic or celebratory area, a stage for photographers to capture beautiful images, a catwalk for girls to be noticed, and for us, the place to partake in a part of our identity. 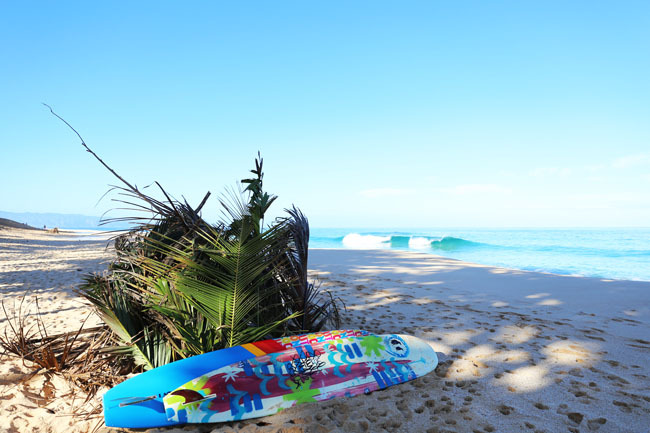 The beach (and surfing, Hawai’i lifestyle, etc.) is a part of my identity. The beach is a, if not the, gathering place. And posting up all day is the best way to take part in this practice. Really looking forward to early spring and doing more of the same thing!